ASTRI is honoured to join the Qianhai International Blockchain Ecosphere Alliance and becomes one of its members. 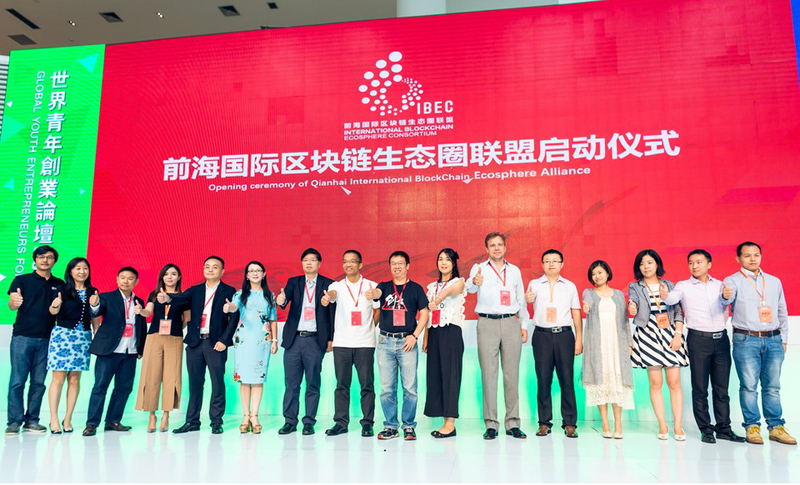 The Qianhai International Blockchain Ecosphere Alliance was officially launched on 3 August 2016. It aims to establish an efficient ecosystem for the development of blockchain technology and its application through the integration of the Mainland and international resources including talents, technologies and capital, thereby accelerating the commercialization of research and development results of blockchain technology and promoting its application for the social and economic development of China. A total of 27 world-class enterprises and investment agencies were invited to join the alliance, including ASTRI, Microsoft’s strategic partner on blockchain ConsenSys, IBM’s strategic partner on blockchain Blackridge, BlockApps, IDG, iSelect Fund, Struck Capital, 500 Startups, to name but a few. This alliance facilitates members to exchange information and collaborate with one another for the development of blockchain technology.